If you’re going to retire in the south, there’s no better state than North Carolina. From beaches to mountains and everything in between, North Carolina is one of the best places to retire in the United States. North Carolina has a humid, subtropical climate with mild winters and hot, humid summers. But residents who choose to live in western North Carolina’s stunning mountainous regions get the best of both worlds with cooler, less-humid summers and still-mild winters. While retirees in Florida, Georgia, and the coastal Carolinas need to worry about hurricane season, the South Mountains of North Carolina very rarely see extreme weather. While plenty of east coasters retire to Florida, North Carolina is home to its fair share of “halfbacks” who decide to move halfway back north after discovering that maybe every day doesn’t need to be a beach vacation day. North Carolina is full of small towns with incredible charm and thriving performance and arts communities. Popular Asheville, NC is only about an hour from the South Mountains and filled with shops, incredible restaurants, and near-constant cultural activities. Thanks to its many public and private universities and colleges, retirees in North Carolina will also enjoy the benefits of living near academic communities with their attendant cultural, educational, and performance events and activities. No one likes taxes, but you can certainly appreciate that taxes are more favorable to your bank account in certain states than in others. While North Carolina is currently, one of the more politically divided states in the US, retirees will be happy to hear that North Carolina has no estate/inheritance tax and the property tax burden is well below the national average. The property tax burden is further eased for residents over 65 thanks to a law that limits your property tax to 4-5% a year if you meet certain income requirements. Whether you want a peaceful mountain hideaway that still has easy access to medical facilities, cultural activities, and excellent restaurants or a bustling downtown experience, North Carolina has the retirement option for you. 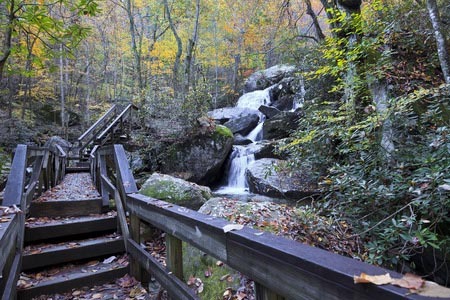 The South Mountains offer excellent views of the Blue Ridge with more privacy and better access while the city of Charlotte offers a bustling downtown atmosphere and a growing restaurant scene. And, of course, small cities like Asheville and Highlands, NC offer small town atmosphere with big city culture.